Represent the NEOBA Club everywhere you go in the community! Caps are trucker style with black/grey, or brown/white. 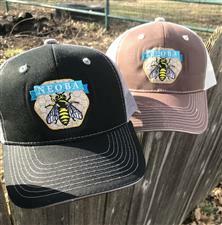 NEOBA logo is embroidered on front, velcro closure on back. 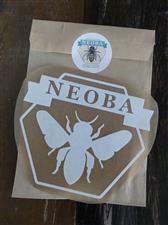 Represent NEOBA in your community with this all white vinyl car decal. 5" decal, individually wrapped, comes with instructions.